Utah Heating Repair Services at Best Prices! Trained and certified to keep you warm during Utah’s chilliest seasons, Fresh Aire Heating & Cooling technicians service all brands and models. 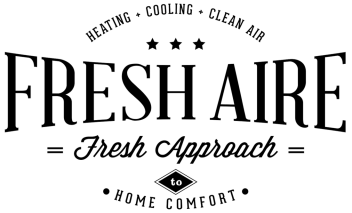 And, when it’s time for a new, energy-efficient system, the Fresh Aire team provides competitive pricing and industry-best workmanship guarantees to secure your peace of mind. Do you find yourself frequently without heat? Are you tired of paying excessively high utility bills? Is your furnace failing to keep up with the demanding winter weather? If you answered yes to any of these questions, your furnace is probably in desperate need of a tune-up. Save Money and Energy: A clean heating system operates more efficiently and uses far less energy than one that has not been properly maintained. Increase Comfort: Dirt buildup within the furnace can obstruct the flames from burning as hot as they should. This will decrease your comfort as you wait forever for your furnace to meet the temperature you need. Prevent Breakdowns: 90% of furnace breakdowns can be traced back to a lack of regular maintenance. Avoid the inconvenience and cost of frequent breakdowns. Increase Lifespan: The better you care for your furnace, the longer it will last! our NATE certified maintenance technicians will clean, oil, and inspect your system to prevent the need for premature replacement.